What Are the Red Balls on Power Lines? Most commonly found out in open areas, such as in the country away from cities, you may notice large red balls placed on electric wires. These balls are usually found in places where there really isn't much else around. They are an aerial warning that the power lines are there. The large red balls that sit on power lines in the middle of the country are primarily meant to help airline pilots see the lines to avoid running into them. The balls are often found on the power lines surrounding smaller airports in open country. Airports in cities do not often need these markers because power lines are kept far away from the airports and pilots can more easily see the runway and any obstacles that exist. When a smaller airport is located in the country the balls help guide the pilots as they come in to land. Other places you may see these balls include power lines that cross rivers, canyons or ravines. 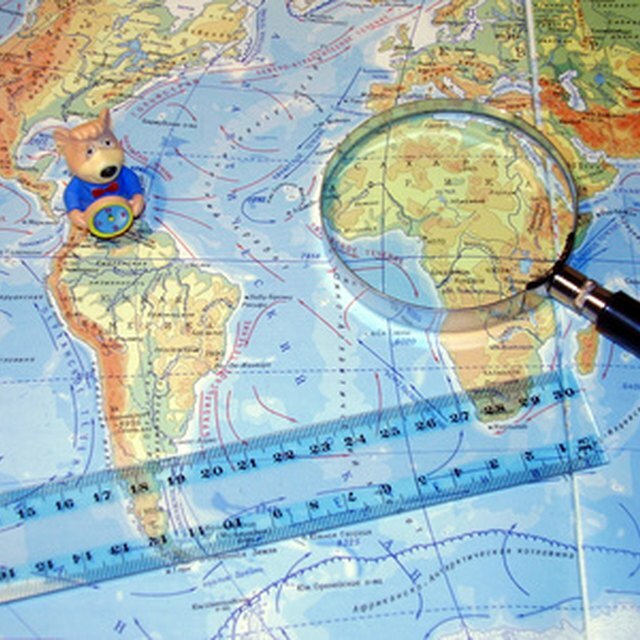 In these locations, poles are far apart and the power lines can be hard to see between them. In addition to being used for airports, the red balls are used in other areas where aircraft may frequent. For instance, many hospitals offer helicopter transfer of patients. Since a hospital is not set up in the same way that an airport is, the balls may be installed on power lines near the hospital to help guide the pilot. If there are any areas where emergency medical evacuations are common, the balls may be used on lines in these areas as well. While red is one of the most common colors used for these warning balls, other colors are also available. The color used is determined primarily by the surrounding landscape and which color stands out the most. Many of these balls come in red, white or orange. In many cases, you will see a combination of white and one other color for better visibility. The alternating colors help draw attention to the wires and keep airplanes and other aircraft from becoming entangled in the wires. Turtenwald, Kimberly. "What Are the Red Balls on Power Lines?" 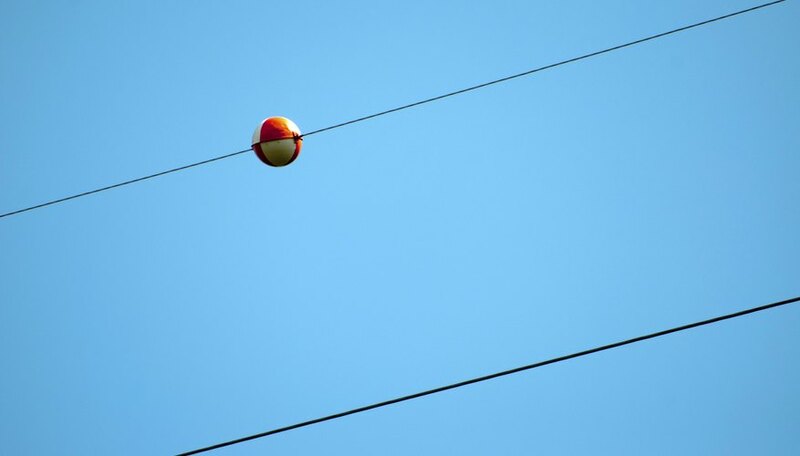 Sciencing, https://sciencing.com/what-are-the-red-balls-on-power-lines-12539427.html. 18 October 2017.